If our globe had a school playground, could you spot Italy? That’s right, the one voted “most popular.” Good-looking, sharp, charismatic. Plus, a rock star in art class. This year, the popular kid turns 150. Surprisingly, the nation that for millennia has been such a powerhouse in art history has actually only existed as long as…recess. As recently as 1860, Italy didn’t exist. It was made up of different city states that comprised the peninsula, all with separate identities, governments, and artistic traditions. To celebrate their union as the Italy we love today, a birthday feast—for the eyes—is underway. 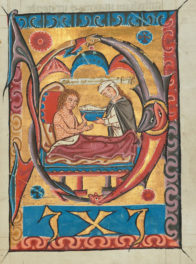 We at the J. Paul Getty Museum are joining almost 30 other institutions nationwide, including our local friends LACMA and the Norton Simon, to highlight some of Italy’s finest artworks. The selection features varied artistic materials: painting, sculpture, and applied arts. 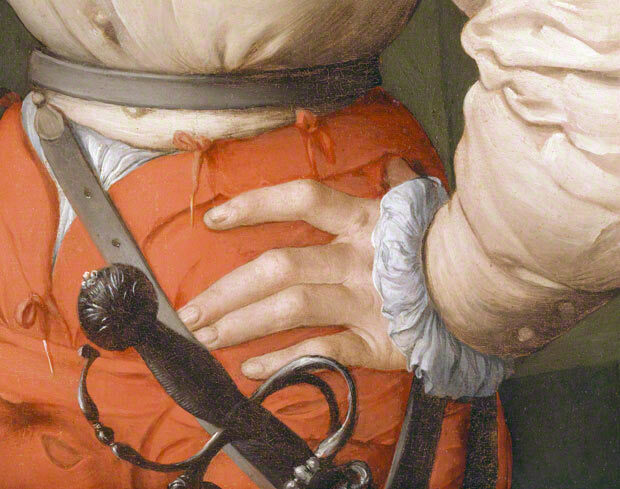 One Florentine treasure is Pontormo’s stately painting Portrait of a Halberdier. This painting gets its name from the halberd, or pole weapon, the young man holds. 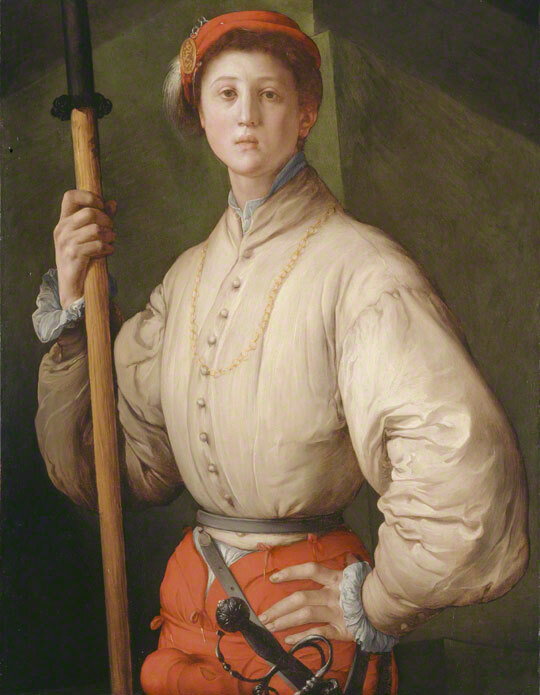 Pontormo may have modeled him on a real or imagined court bodyguard, with his satin blouse, ruffled white cuffs, and jewel embellished hat. Italy’s magnetic qualities span the centuries. Imagine, for example, you’re the son (sorry, daughters!) of a wealthy British family in the late 1600s or 1700s. As part of your cultural and artistic education, you and a tutor would likely take a “grand tour” of Europe, and especially Italy, to refine your taste and sensibilities. Not to mention…shop. One such covetous tourist, Lord Parker, brought home, ahem, a party animal. 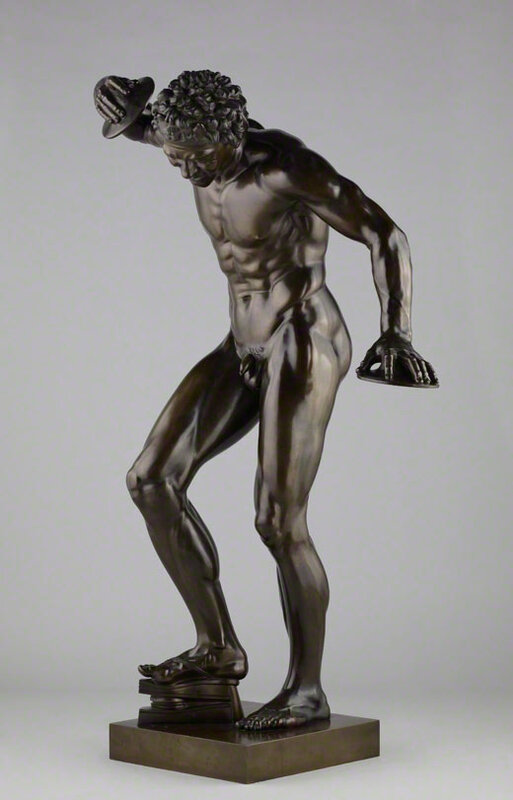 He commissioned this bronze sculpture as a souvenir copy of a Hellenistic statue for his father’s collection in Oxfordshire. You’ll immediately notice the silky patina, or surface coating, that belies the sculpture’s age. How is this possible after centuries? Thankfully, the Italophiles displayed it inside their castle, safe from harsh weather. As a result, the bronze-casting and finishing skills of the artist are crisply preserved. Look how he dips his head forward, muscles flexed, sharing an almost primal joy in playing his musical instruments. The celebration echoes at the Getty Villa with some surprise guests: the dearly departed. 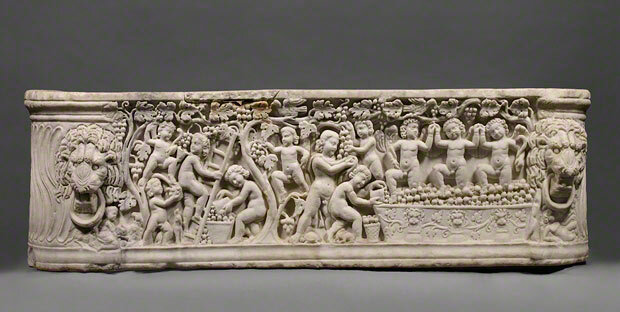 Don’t miss the carved marble sarcophagus, or funerary monument featuring…a drinking party. 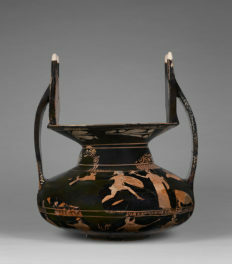 Maybe to create jolly company for the dead, the ancient artist carved images of a mythological Roman wine festival. At top left, harvesting grapes from vines, are putti, or winged infants who wear, well, just their birthday suits. At far right, three of them raise their chubby little legs in unison to stomp on the grapes, their hands joined overhead as if line-dancing. From ancient art like this, made on what centuries later became Italian soil, and maybe even to those Vespas buzzing the streets today, Italy’s artistic creativity reveals what we’ve always envied about the popular kids: they’ve got style and they know how to have a good time. Thank you so much for putting together this showcase. I am currently in Italy visiting as many museums as I can. The experience has been legendary. 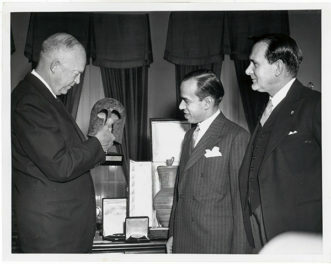 I can’t wait to see how your showcase matches and further excels my appreciation of Italian art. I have never been to Italy, but it is a lifelong dream. Their art is unprecedented. The carved sarcophagus is a true work of craftsmanship. Glad to know we can view it in the US.